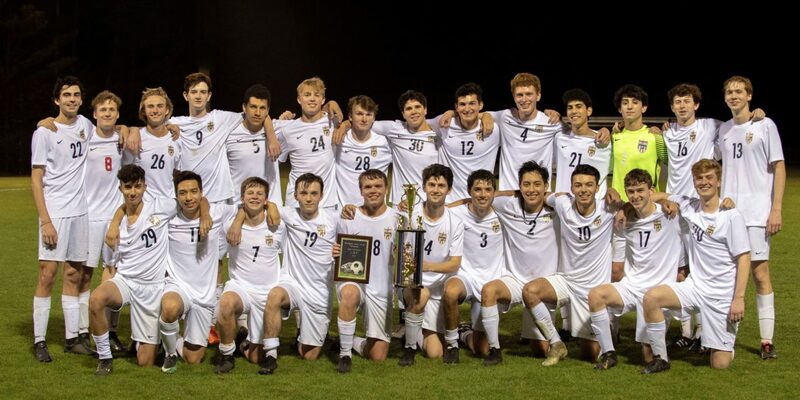 The Homewood High School Boys Varsity Soccer team defeated Hoover High School (ranked #1 in 7A) to win the Metro Tournament. Senior Matthew Henderson scored a goal late in the second half to send the 1-1 game into overtime. After two scoreless overtime periods, the game was decided in a PK shootout. After one missed Hoover PK, Homewood goalkeeper Noah Klein made a great save. Connor Smith, Jackson Wallace, Matthew Henderson, and Alex Harris all converted their penalties to lead Homewood to victory. Matthew Henderson was named Tournament MVP.